MILWAUKEE — The National Weather Service has issued a flood watch for southern Wisconsin in effect until 7 am on Friday, March 15. The combination of warm air and periods of rain has led to a rapid erosion of the snowpack. With the ground still frozen, direct runoff increases the chances of flooding. Ahead of Flood Safety Awareness Week, the Milwaukee Health Department is reminding residents on how to stay safe during flooding events. · Stock an emergency supply kit. Kits should include a three-day supply of food and water, cell phone and charger, flashlight and batteries, can opener, first aid kit, extra cash, and a change of clothes. · Move electronics off the floor. If there is an active flood warning, move electric appliances off the floor and make sure your sump pump is working and has a battery-operated backup. · Consider adding flood insurance. Standard insurance policies generally don’t cover flooding. Flood insurance is available for homeowners, renters, and business owners through the National Flood Insurance Program. 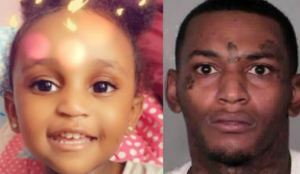 The community is asked to continue in the search to find two-year-old Noelani Robinson, who Milwaukee Police say Dariaz Higgins abducted Monday, March 11. The MPD has apprehended Higgins, a suspect in the homicide of Robinson’s mother, Sierra Robinson and the child’s abductor. Sierra Robinson was fatally shot by Higgins Monday near North 91st Street and West Mill Road. Higgins was taken into custody at about 12:53 p.m. Wednesday, March 13, in the 5200 block of North 103rd Street. The MPD also arrested a second individual with Higgins for harboring and aiding a fugitive. There continues to be an active Amber Alert for Noelani and anyone with information about her whereabouts is urged to contact local police or call 911 immediately. Highlighting Milwaukee’s progress and growth, Mayor Tom Barrett presented the 2019 State of the City Address on Monday at the Fiserv Forum. Mayor Barrett emphasized the City’s efforts in strengthening neighborhoods, promoting job growth, building healthier and safer communities, and improving educational initiatives in Milwaukee. Mayor Barrett opened his address by expressing his gratitude to City of Milwaukee employees who work daily to serve the residents of our city, often risking their lives. Amongst those highlighted were the three Milwaukee Police Department officers, Charles Irvine, Jr., Michael Michalski, and Matthew Rittner, who lost their lives in the line of duty. Mayor Barrett also highlighted the efforts of the Milwaukee Police Department citing that last year car jackings were down 7%, more guns were recovered, fewer shot spotter alerts were detected and both fatal and non-fatal shootings were down markedly. He expressed his content with the direction of the department as more officers are in the neighborhoods patrolling the streets and making Milwaukee safer. In regards to the Police Department’s hiring efforts Mayor Barrett expressed he wants police officers to come from, live in, and care about Milwaukee. Mayor Barrett highlighted economic development throughout the City. He congratulated JoAnne Sabir and Juli Kaufmann on their fabulous work to build the Sherman Phoenix, a story of rebirth in the Sherman Park neighborhood. He also mentioned the excitement for development projects underway on our city’s near south side first with Komatsu then with Michel’s Corporation. In his remarks he also touted the launch of The Hop presented by Potowatomi Hotel and Casino which drew over 16,000 riders during its first two-and-a-half days. He re-emphasized plans to extend streetcar service to the Bucks arena, Bronzeville, and Walker’s Point. Most notably, when it comes to ensuring the economic success of our city’s residents, Mayor Barrett called on business and government leaders to work with him to bring 3,000 jobs to city residents and neighborhoods over the next three years. During his remarks Mayor Barrett issued a powerful challenge: “Imagine a Milwaukee child born today. Will her life begin with a solid foundation, continue with a good education, lead to a quality career, and, ultimately, a life fulfilled? What can we – government, the business community, and community partners – do to make sure this child thrives?” To answer this question, Mayor Barrett listed the various initiatives that our City of Milwaukee is taking to ensure children and youth have a promising future. One such effort is the launch of the Milwaukee Public Library’s Office of Early Childhood Education which will work to ensure that all children are ready to learn by kindergarten. Efforts to advance our city’s residents into productive adulthood include the announcement that the library is launching Career Online High School, a program for adults to earn a high school diploma. The Mayor also highlighted Compete Milwaukee’s success in connecting underemployed City residents with on-the-job training within city departments. Mayor Barrett affirmed that Milwaukee’s water has always met the federal standards for lead safety. Even so, his administration has taken bold and proactive steps to replace lead service lines. The Mayor acknowledges that one of the most serious health risks our children continue to face is exposure to lead paint. The Mayor, together with the City of Milwaukee Health Department, have made continual progress in reducing the number of children with high lead levels. “Yes, a child born today will grow up in a city that addresses the challenges before it. I’m proud we are a city of strong partnerships. I’m proud that residents, neighborhood and community groups are vested in building a stronger Milwaukee,” said Mayor Tom Barrett. 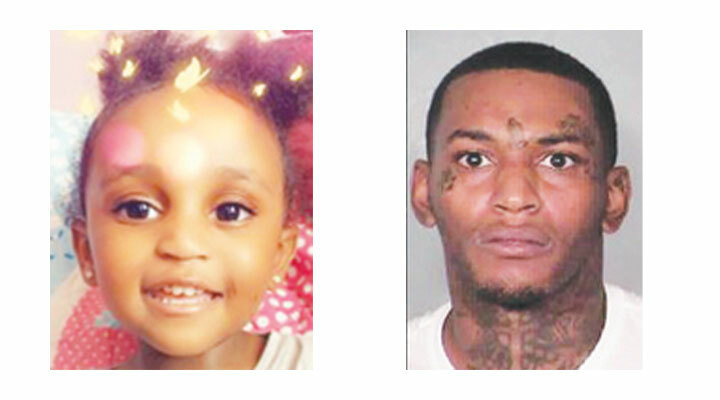 An Amber Alert is still in affect for Noelani Robinson (pictured above left), a missing two-year-old girl who was abducted by her father, Dariaz L. Higgins (pictured above right), who is wanted in the shooting two women, one of them Robinson’s mother, Sierra Robinson, who died of her wounds at the scene. The other woman will survive. The Milwaukee Police Department and the FBI warn that Higgins is armed and dangerous. Higgins could be driving a black 2014 Cadillac with Floriday license plate HVC-Z95. They are asking for the public’s help in locating the little girl. Police urge anyone who sees Higgins or Robinson not to attempt contact, but call 911 immediately. Anyone with information should call the MPD at (414) 935-7302. 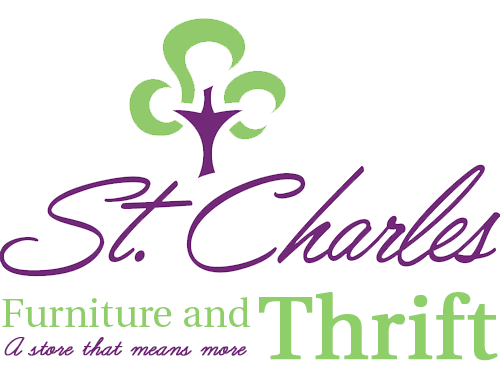 March 7, 2019 – On Saturday, March 9, community leaders and neighborhood residents will celebrate the grand opening of St. Charles Thrift & Furniture, “a store that means more,” with a ceremonial ribbon-cutting. The store is operated by St. Charles Youth and Family Services to provide meaningful work experience for students in the St. Charles Youth Employment Services (Y.E.S.) 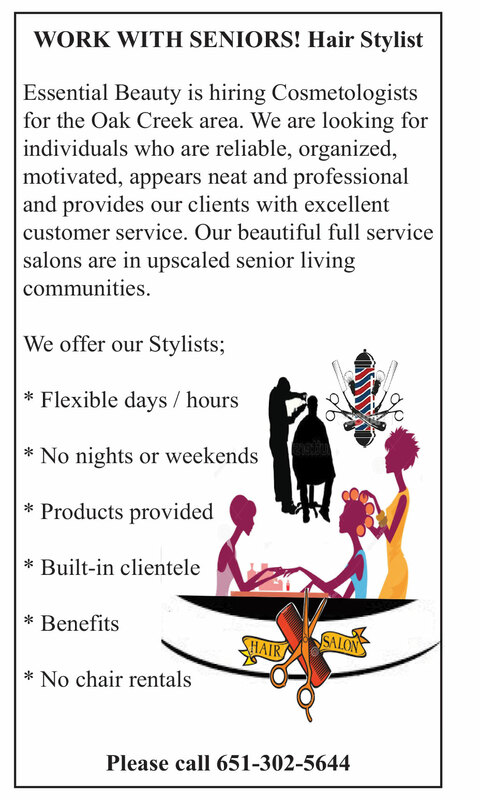 program as part of a program that teaches critical employment skills at the start of students’ careers. Youth follow two tracks – retail/customer service or custodial care – where they learn industry-specific skills like communication, interviewing, resume writing and collaboration. Youth employees then gain real-world experience by working in the thrift store. St. Charles Furniture & Thrift is a component of St. Charles Youth and Family Services’ workforce development program. Since the program’s 2012 inception, 1,090 young people have completed the training, resulting in 61,416 hours of work experience. St. Charles Youth and Family Services provides 24-hour care, community-based programs, case management and workforce development for youth. For more information, visit stcharlesinc.org. St. Charles Furniture & Thrift, an offset of St. Charles Youth and Family Services, provides professional development and workforce training. For more information, visit thrift.stcharlesinc.org. MILWAUKEE – The City of Milwaukee Health Department (MHD) is reminding all residents to take precautions as bitterly cold temperatures move into the area overnight tonight. The National Weather Service (NWS) has issued a wind chill advisory for the area, stating that cold temperatures and brisk winds may result in wind chills that could reach 20 to 25 below zero. The advisory begins at 10 pm this evening and extends through 10 am Monday, March 4.  When heading outdoors, let someone know where you are going and when you expect to return. unprotected skin is exposed to very cold temperatures, causing the affected area to appear white or grayish- yellow in color and feel firm or waxy. Hypothermia is life-threatening, and occurs when the body temperature drops too low, causing shivering, drowsiness, clumsiness, and confusion. Both require immediate medical treatment.  Do not touch metal surfaces with uncovered hands. Flesh can freeze instantly to a cold metal surface.  If you have pets, bring them inside and ensure trips outside are brief. During cold weather, be sure to check on family members and neighbors who may be at risk for cold-weather illness or injuries, especially young children, the elderly, and those with chronic illness. The City of Milwaukee will host the first-ever MENTOR Recruitment Fair on Wednesday, March 6 from 10:00 a.m. to 2:00 p.m. in the rotunda at City Hall, 200 E. Wells St.
A program featuring Mayor Tom Barrett and Common Council President Ashanti Hamilton will begin at 12:00 p.m. The event is FREEand open to the public. The MENTOR fair will feature the following organizations sharing local mentoring opportunities for Milwaukee-area youth: Above and Beyond the Playground, America Scores, Big Brothers Big Sisters of Metro Milwaukee, Crown Me King, Journey House, Lead 2 Change, Project Hope, Running Rebels, Southwest Key, Summit Mentoring, Teens Grow Greens, We are Inspired Mentoring Program, and We Got This. 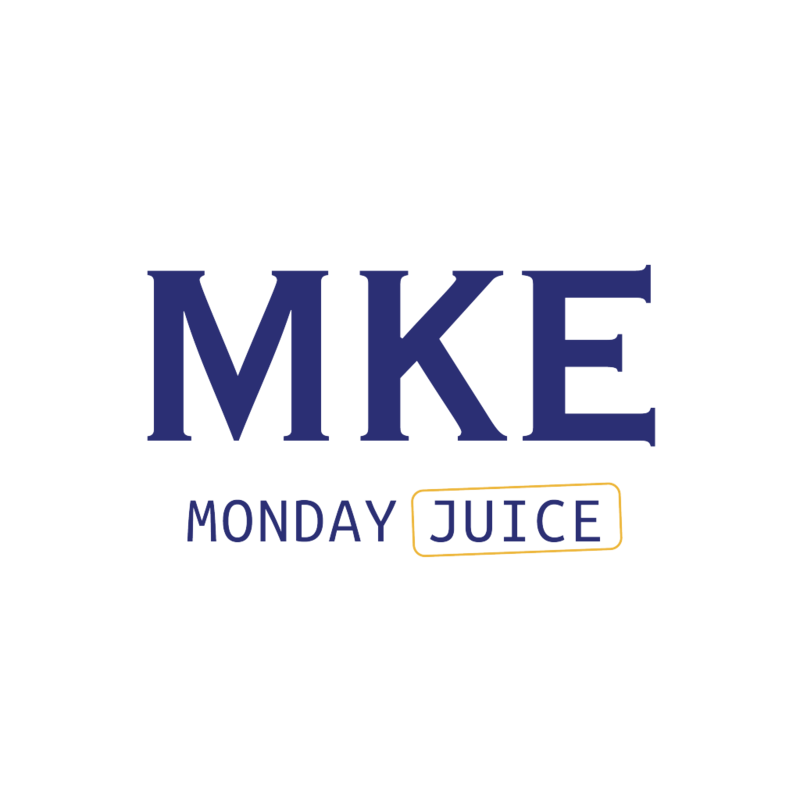 About MENTOR Milwaukee: MENTOR Greater Milwaukee (MGM) is an advocate for the expansion of quality mentoring in the metro Milwaukee area, and is a resource for mentors and mentoring initiatives. In 2016, the City of Milwaukee and the Milwaukee Public Schools (MPS) funded a study to explore developing a MENTOR affiliate in Milwaukee. That study concluded there was an unmet demand for quality mentors in the area. 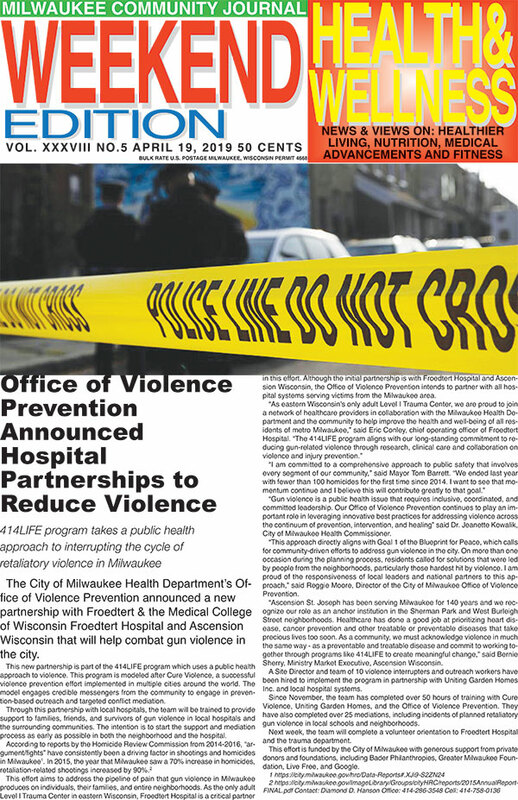 As a result, the City of Milwaukee, MPS, and the Milwaukee Bucks agreed to partner to build capacity among area agencies currently offering mentoring services, increase collaboration, and coordinate recruitment and training efforts. For more informationon the MENTOR Fair and MENTOR Greater Milwaukee, go to milwaukeementor.com/or contact Ms. Alicia Moore at [email protected]or (414) 908-1081. A pair of Wisconsin utilities are proposing changes that would permit fewer inspections of natural gas meters to ensure they are working properly and safely. The Citizens Utility Board of Wisconsin is encouraging customers to submit public comments by noon Monday about the proposals, filed by Xcel Energy Corp.’s Northern States Power Co. and Alliant Energy Corp.’s Wisconsin Power & Light Co.
“The PSC’s short window for allowing public comments is closing in just a few days, so we encourage customers to weigh in,” said Tom Content, CUB executive director. “Utility regulation is all about making sure that we have a system that’s reliable, affordable and safe. The utilities are looking for a small amount of savings but Wisconsin’s reputation for a safe, reliable system could be undermined if the PSC moves forward with approval of these requests,” Content said. At issue in the cases is the frequency of meter surveys for natural gas meters that the utilities must conduct. The utilities are proposing to permit up to three years between meter inspections and to be relieved of a reporting requirement concerning gas meter hazard surveys. When the PSC authorized utilities to install automated meter reading infrastructure, the agency expressed concerns about less frequent visits to check meters. Before installing advanced meters, a utility employee would see a gas meter on a monthly basis. Now, with advanced meters, inspections must take place at least once a year. Under the new proposal there could be up to three years between meter inspections. Based on information provided by the utilities these annual inspections have identified thousands of maintenance issues per year. Under the utilities’ proposal the companies would no longer have to file annual reports about problem meters. 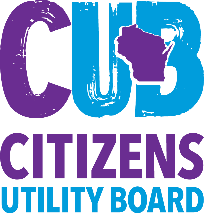 CUB would like the PSC to require that utilities continue to conduct annual inspections of gas meters and continue to file annual reports about hazards and problems they find with meters. CUB wants the commission to deny action on these requests and undertake a broader statewide investigation to analyze the issue in more detail, as the deployment of advanced metering infrastructure is likely to continue. Customers of WPL and NSP are encouraged to file comments via the PSC’s website by noon Monday. NSP customers should look for the “File a Comment” link for the case number 4220-CG-136. Customers of WPL should look for the “File a Comment” link for case number 6680-CG-152. 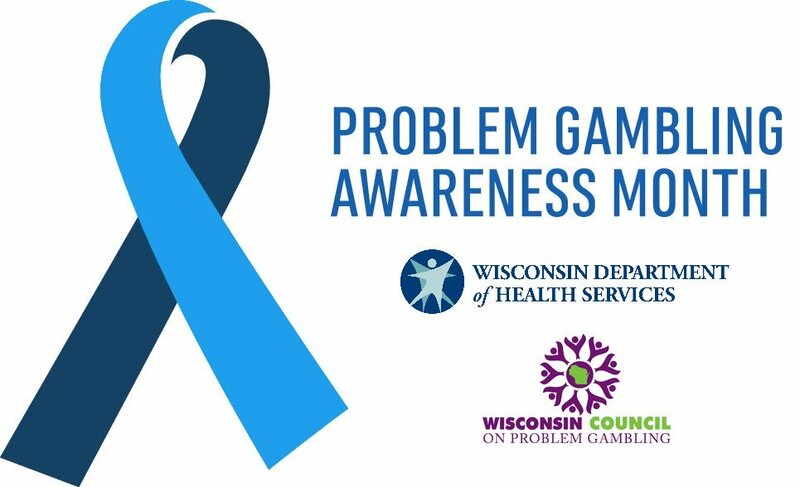 MADISON, Wis. – The Wisconsin Lottery and the Wisconsin Council on Problem Gambling (WCPG) continue their support of problem gambling awareness with an additional emphasis during March’s Problem Gambling Awareness Month. Wisconsin Lottery radio and print ads airing during March heighten problem gambling awareness and methods to obtain help. Additional 2019 funding support builds upon prior informational campaigns that resulted in increased WCPG helpline calls. Spanning more than a decade, the partnership between the Wisconsin Lottery and WCPG extends year-round and reaches beyond the annual campaign each March. Throughout its association with the Council, the Lottery has committed more than $3.25 million to responsible gaming education. 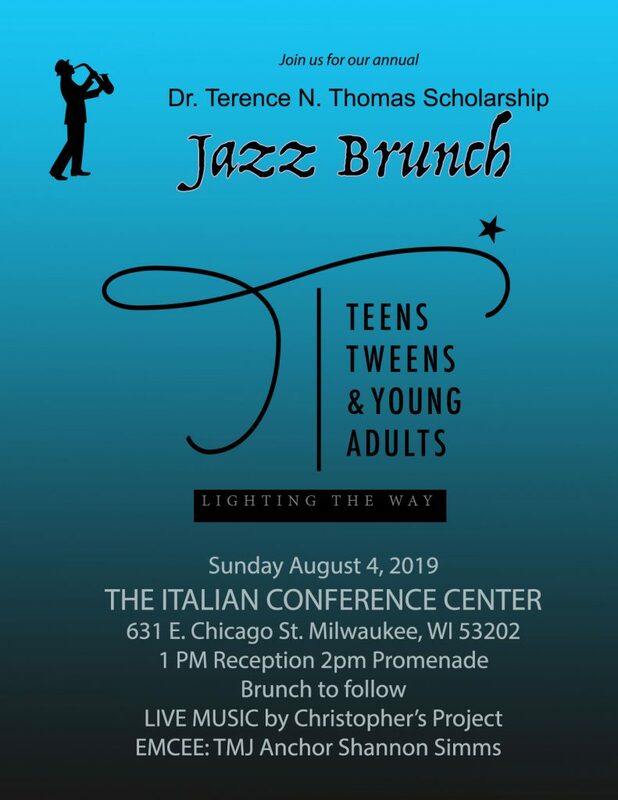 The Lottery also funds four annual $150 scholarships for the Wisconsin Council on Problem Gambling’s Annual Statewide Conference. These scholarships provide conference registrations for people who might otherwise not be able to attend. This year’s conference is being held March 14-15 at the Blue Harbor Resort in Sheboygan. In 2018, the WCPG presented the Lottery with its “Outstanding Achievement Award” for providing excellence in services, resources, and long-term devotion to problem gamblers and the growth of the Council. 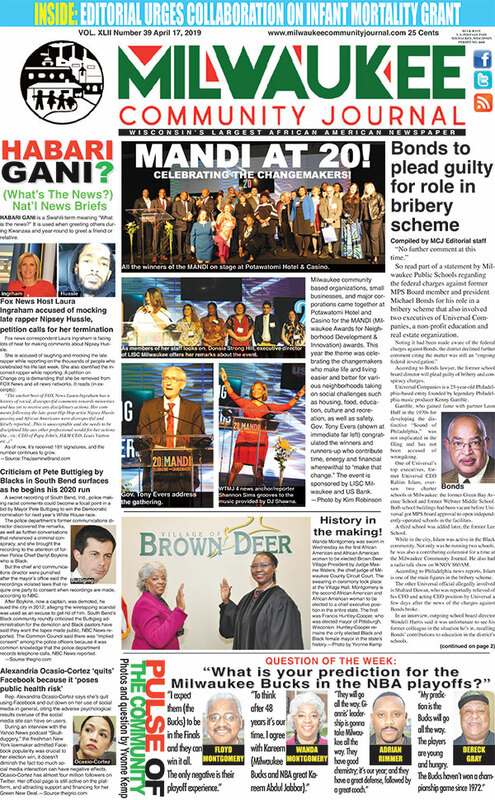 Beyond its financial commitments, the Lottery posts the WCPG hotline number on Lottoview displays, game brochures and point of sale pieces at over 3,500 retail locations and at more than 75 annual events. The Lottery prints the number and the WCPG web address on its tickets and game brochures and posts the information online atwilottery.com.